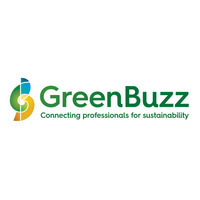 GreenBuzz is a sector-overarching network, connecting people who work in sustainability and/or have a great passion for sustainable thinking. GreenBuzz Berlin was founded in 2014. A first series of events, the Sustainability Drinks, brought together well over 2000 people in the first years. The global network started in Zurich in 2010, other chapters have meanwhile also started in Bern and Amsterdam. Our mission is to facilitate people to connect and share knowledge on topics around sustainability, in order to support responsible decisions and actions. We develop and present new approaches that support sustainable societies and businesses to grow. We encourage collaboration and self-organization. GreenBuzz is continuously searching for new information to feed an educated decision making process.